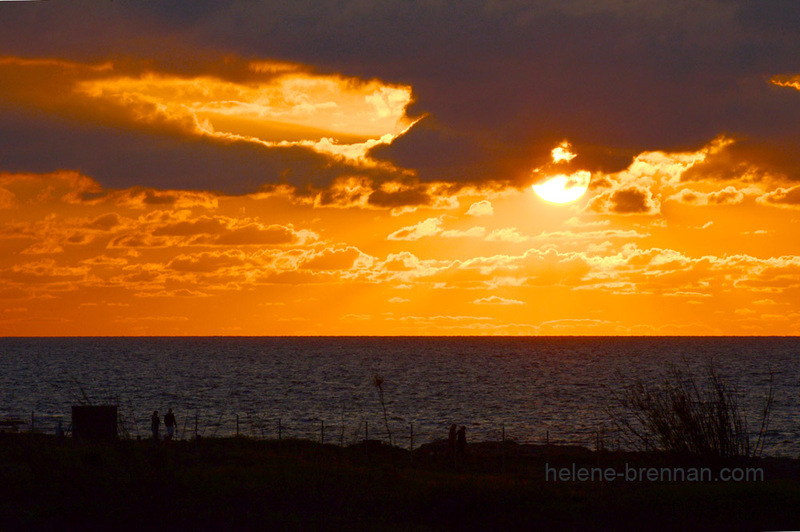 Figures walk along the coastal path as the sun sets on Kato Paphos over the Mediterranean Sea. Unframed. No mount for easy posting.